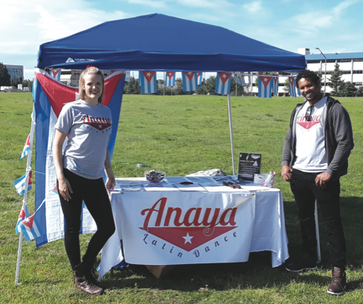 Anaya Latin Dance is a dance company specializing in traditional Cuban dances, thus giving new focus to Latin dances in Alaska. 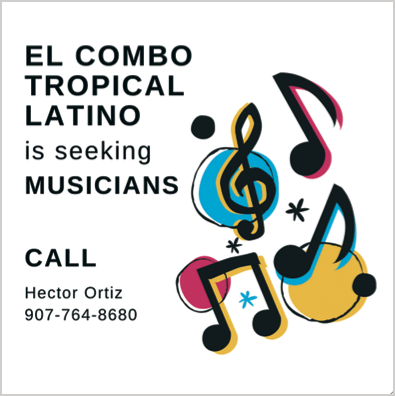 These rhythms have Cuban roots in Latin social dances, and can be enjoyed, incorporated, and felt by all those who like to dance salsa. 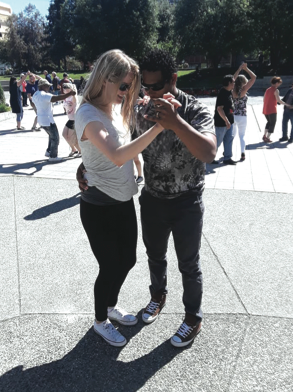 Liz Anaya, of Wasilla, Alaska, and Ciro Anaya, from Santiago de Cuba, Cuba, are a married couple who dedicated to teaching dance. Liz Anaya is an anthropologist of dance and has a master’s degree (2017) in Dance Knowledge, Practice and Heritage. She has danced, taught and performed in Europe and the United States. Ciro Anaya obtained his degree as an art instructor through the National University of art instructors of Cuba. Prior to moving to Alaska, Ciro Anaya became a professional dancer in the internationally known Sabor DKY dance company directed by Yanek Revilla. Anaya Latin Dance practices several dance expressions including casino and son. Casino became popular in 1950s in Havana and refers to “Cuban salsa”, a lively popular dance that is guided. Casino is based on son, chachachá and other Cuban rhythms as well as American rock and roll. Among the Cuban dances, it is the only one that does not have a specific musical genre with which it’s associated and can be danced with a variety of musical sounds. Today it is often combined with Cuban timba. Casino can be danced not just in pairs, but also alone or in a group, the steps danced outside couple dancing are known as “pasos sueltos” (free steps), or sometimes as “salsa suelta”. As regards to salsa, the Anayas explain that the term is foreign in Cuba, because the “Cuban salsa” (Casino) existed before salsa as it is known today. 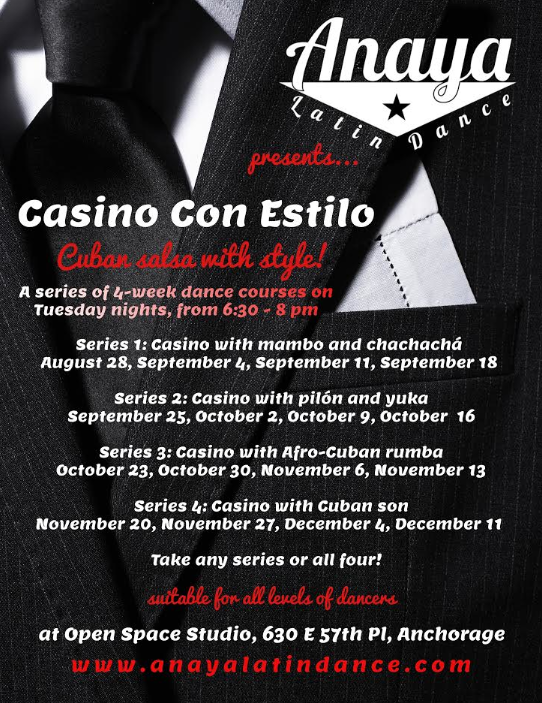 Cuban son is a precursor to Casino, is the base for “salsa” in New York, and is also believed to be the basis of the “International Style Rumba” ballroom dance. Son is a musical genre and social dance from eastern Cuba that has been around for more than a century; it’s a rhythm that has transcended in Latin music around the world. On September 22, Anaya Latin Dance will a Conference on Cuban music and rhythms of salsa throughout the World at the Writer’s Block bookstore. On September 29 there will be dance workshops followed by an evening of dancing at 49th State Brewing Company.